Kenton's Infotainment Scan: What's the major idea? What's a complete idiot doing at college? @kentonlarsen: "Is it time for Creative Communications to get rid of majors?" I tweeted the question earlier this week because the idea of choosing a specialty in the second year of a two-year program seems somewhat counterintuitive (disclaimer: to me!) in a world in which a "communications professional" is someone who does everything. In CreComm, second-year students choose between Advertising, PR, Journalism, and Media Production streams. We added Media Production about seven years ago, but the other three majors have been the other three majors for as long as anyone can remember, which means that they don't necessarily reflect the modern-day realities and demands of a job in communications. Weird but true: our students' major doesn't even appear on their diploma or marks transcript, though you could tell what it is by looking at the course breakdown, I suppose. I majored in journalism and worked in advertising and PR ("communications") for most of my professional career. Not a single employer ever asked me to announce my major in mixed company or whisper it to them privately, come to think of it. "To major or not to major" has come up at faculty and curriculum meetings before, as has the suggestion that Ad and PR could be hooked up as one major and Media Production and Journalism as another. Or a major and a minor. Or an optional third year - like the Graphic Design program now offers. There are pros and cons to all of these approaches, and any change would need to be tabled by our Curriculum Committee and sent by carrier pigeon to a panel of experts on a secret island where Marlon Brando plays a piano as a creepy little person looks on. Sounds like a lot of work, and I usually make the greatest progress when I do things myself, so I brought the question to my tweeps. Many, many CreComm students and grads weighed in. No!!! I love PR and am not totally in love with everything else. I like it the way it is. Too much craziness w/4 dif majors. Oy Vey, I might have to start picketing about NO MORE JOURNALISM classes....aaaahhhhhh. I would frankly support that wholeheartedly. The major took me away from the thing I most wanted to experience and learn. Most journos end up in PR eventually. Media literacy is important so ad is good. Broadcast is going to be necessary for all. I would be more supportive of two majors as J and Media Production are similar as are Ad and PR. I'd cry if I had streeters! Works for me. I enjoyed the J stuff, but can always use help on technical side. At least, more overlap -- some major-specific, the rest open 2 all, some required 4 all. agree on broadcast. In that case can I come back and do every other major?! 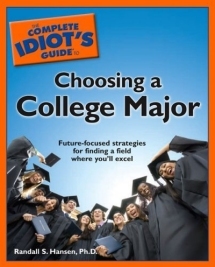 If you could choose a major AND minor, that would really be something. Mostly I just wanted to work more with video. Probably not me - my major was cave drawings. I'd rather it be Ad and Media Production. We have a ton of almost ad majors in MP! I like the idea, but wouldn't go with J as one of the options. Needs to be broader than that. Could it even be two separate *programs*, CreComm and Media Production (which would include more multimedia content)? I certainly agree w/ the double major idea-granted, broadcast was highly intensive. Count me in for a focus group if need be! Heartily support twinned majors: in my experience, esp. here at APTN, having some J skills along with BPro is *very* key. Yes, however you should be able to double major: take another major's requisite classes instead of electives. The debate rages. What do you think? Comment below! No, CreComm shouldn't get rid of majors. But the program should heartily and repeatedly encourage students to get experience in all areas, extra-curricularly (is that even a word?). Here's why: in life outside of college, if you want to learn something (e.g. a new language, how to knit) you have to take time out of your otherwise busy life and do it. This sounds harsh, but it's true. Those students who work on a 'minor' that is different from their major, but don't get necessarily credit for it, end up developing a fuller skill set coming out of RRC. And when employers who know CreComm see that product, they're even more ready to hire that student. An ad student who did a video doc for IPP and did layout for the school paper -- hired before school ended. A media production student who wrote a book and wrote for the school paper -- hired. A journalism student who did a KICK-FM related IPP with a show on KICK and wrote for the school paper -- hired. See the pattern? I loved being an Ad major, but I do wish that I could have taken a PR class as an elective. There was Sport J as an elective, and we had to take TV and radio production, but there was no PR option for us. There IS a lot of cross over between Ad and PR class, but I know that there is a lot that we just didn't have time to cover (such as organizing a press conference). As someone who had a really tough time choosing between the two, being able to take a PR elective would have been great. I think the majors are an important draw for prospective students. While a lot of people flip-flop during their first year, a lot also come in and follow through majoring in what they wanted to major in. Honestly, I would have loved if CreComm was like Graphic Design with a third year option. Have two years in general courses to bolster and broaden our skill sets across the board, but also continue to let us specialize in something. I would imagine the third year being more specific in terms of electives available. Now that the college offers degrees as well, why not make CreComm a degree program? Get rid of the joint-degree option with U of W entirely. CreComm is clearly one of RRC's flagship programs, and finding ways to continue to expand and enhance it's value and worth across the province and country is only beneficial. I like the idea of acquiring more skills in order to be more well-rounded (not in a Thanksgiving sort of way) to a potential employer. Allowing a student to chose one of RRC's existing majors as an elective, as Miss Espenell suggested, is a pretty good idea. If this were to happen it would be wise to add three to four more weeks to the program so students could get the most benefit in improving their skill-set in the new major/minor choice structure. But that's just me, I love it at RRC. I wouldn't want majors to be removed entirely - as there are definitely some areas I prefer over others. It's very important to know and understand all four majors - but we receive that knowledge in first year. I worked over the summer, and I used skills that I'd learned in all four majors. I do really like the idea of a major and a minor. There are so many students who were torn between two majors, and having the opportunity to learn a second one would be awesome. I'd love to be able to take another major as an elective. I'm a CreComm grad (1982) who majored in Journalism at a time when the only other option was Advertising. By its name, Creative Communications infers that the graduate is versed in more than one discipline. However, without a major field of study, the program, in my point of view, would be too general, too watered down to be of any worth. I think you need the major to refine your skills in relation to your interests and to also help focus your career goals. Having said that, I also believe that if you're a strong enough writer and communicator your major won't preclude you from exploring different aspects of the communications field. I've been writing professionally (I prefer the term to freelance) for 20 plus years and during that time I've written virtually everything there is to write – from magazine articles to annual reports to radio ads to websites. The writing skill I already possessed, the ability to craft words and concepts into a salable service I learned at RRC. That remains the strength of the CreComm program – an opportunity to write every day while developing your expertise, whatever field it's in.